n deep green plastic, the outside shamrock is over a foot tall. Includes a nylon cord for suspending it. 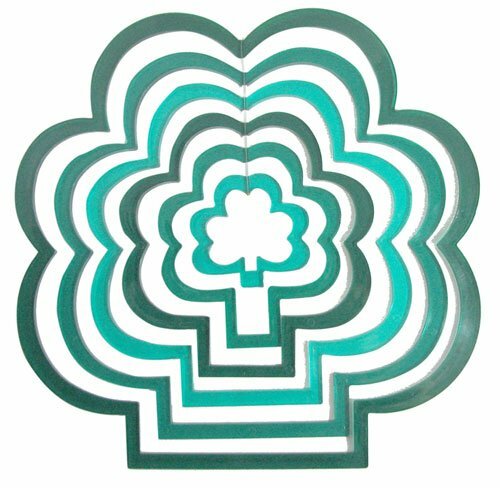 Let your ancestry spin in the wind with the 6-piece concentric shamrock mobile. In deep green plastic, the outside shamrock is over a foot tall. Includes a nylon cord for suspending it.